If you conduct online surveys, it won’t take long before you find yourself needing Quota Management. 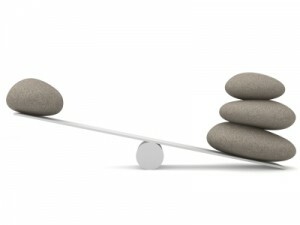 There are many manifestations of the need for Quota Management from basic to advanced. The advanced form, without being complicated or complex, can let you do amazing things. 1. The Most Basic Quota Management lets you expire your survey as soon as “the quota is met.” By quota, I mean the number of desire responses to the survey.If you set your quota at 500 responses, the 501st person attempting to take the survey by clicking on a link sees a message that says “Sorry, this survey is no longer active, thank you for your interest.” The need to instantly and automatically expire your survey is urgent particularly if you’re paying per response. 2. The Slightly Advanced Quota Management allows you to expire a survey if the quota for one of the answer options is met. You know, if you wanted 250 men and 250 women to take a survey, and say 250 men have already taken the survey, how do you keep the 251st man from taking it? The survey still launches and when the 251st male respondent answers the gender question and clicks NEXT, he sees a message that says “Thank you for your interest, but we have reached the maximum number of respondents of this type.” Of course, you’ll say something more subtle, but you get the point. The idea is to not over sample any one type of respondent. 3. The Truly Advanced Quota Management is a powerful way to manage event registrations when individual events have quotas. You assign the maximum number of times each answer option can be selected. As soon as the limit is reached, the answer option can be grayed out or completely disappears. By graying out, you can let people see what other options were earlier available which are now filled. Whether your need is simple or advanced, you will enjoy using SoGoSurvey. By giving you full flexibility we know we are helping your company do things more efficiently.